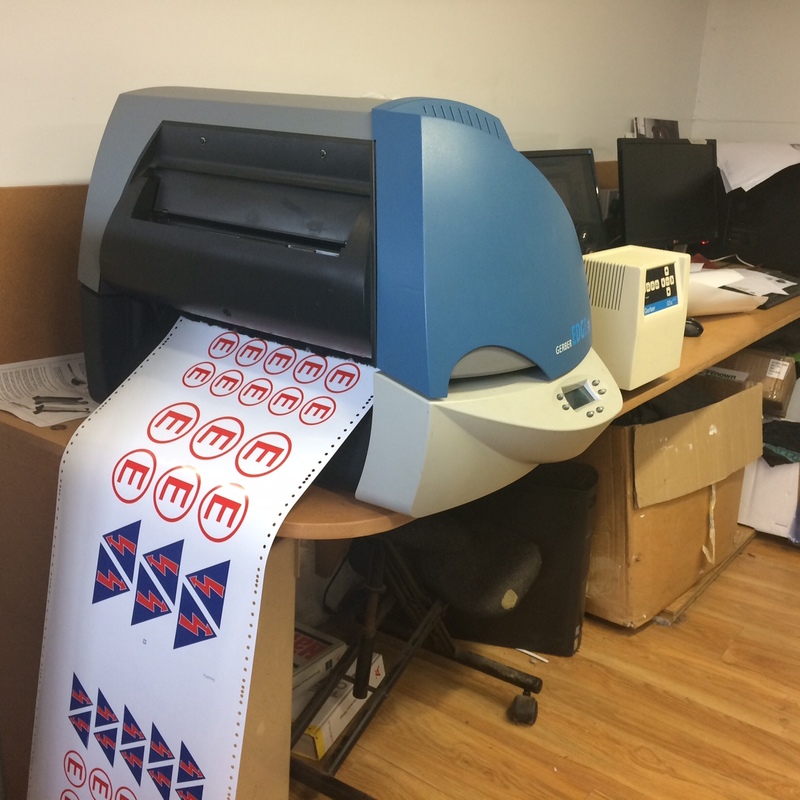 New addition to our production facility, the Gerber Edge FX thermal transfer printer and cutter. Ideal for small graphics, the Edge prints using individual colour cartridges. The print is fully durable without laminating, resulting in a thinner sticker. Graphics can also be printed onto clear vinyl including White ink meaning complex logos can be printed as a single sticker rather than conventional individually cut letters which tend to be less durable at small sizes.